Much love and best wishes in 2015! Still haven't found that perfect gift for the holidays? 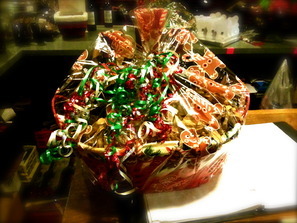 gift basket - made to order! We also offer pre-made gift baskets in a wide range of prices. Just ask any of our friendly Rusty Crew!